I’d say Ghost in the Shell was one of the bigger disappointments of 2017 but considering what I had been seeing before its release, including the director, expectations were vastly lowered and it was pretty much matched. No, it’s not horrible but in trying to satisfy fans and the general audience, the studio failed at both. Criminal is your run-of-the-mill action/thriller that succeeds mostly with a strong ensemble cast led way by Kevin Costner who gives a nice performance while Gary Oldman, Tommy Lee Jones and Ryan Reynolds are more background noise. This is the perfect movie as a rental, but not much more. Criminal Activities isn’t a half bad crime-drama especially by direct-to-video standards. 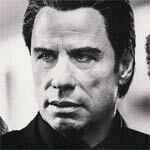 The performances from Michael Pitt and Dan Stevens were good and even John Travolta in his limited appearance gives the film some weight. 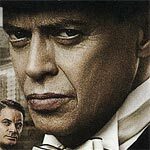 “Boardwalk Empire” is yet another great show from HBO and although it’s not up to par with “The Sopranos,” “Deadwood” or “Game of Thrones,” that standard is hard to meet. That being said, I will say the ensemble cast ranging from Steve Buscemi to Michael Shannon is one of the best and the performances all around, in conjunction with quality writing beginning with Terence Winter, is top notch.